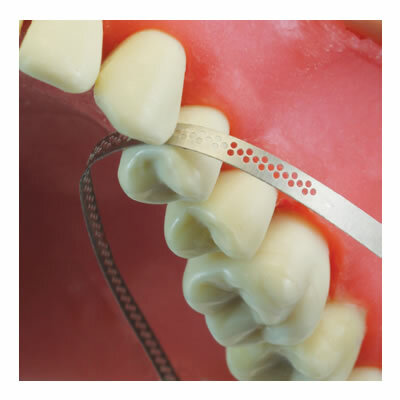 AXIS/SybronEndo's stainless steel Perforated Diamond Strips are designed for complete control during interproximal reduction, shaping, and contouring. Strips allow easy access and precise manual enamel reduction resulting in a smooth, natural finish. Perforated design assists in debris removal, provides improved visibility, control, and flexibility.